So as EJ and I discovered, writing and posting from Bonnaroo comes with its own unique difficulties. Most of which consist of over-the-top cool events going on all the time to distract you from the internet. 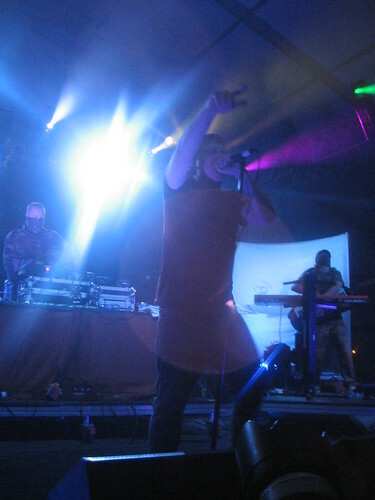 Fridayâ€™s events wrapped up with shows from Aesop Rock, El-P, and DJ Shadow. 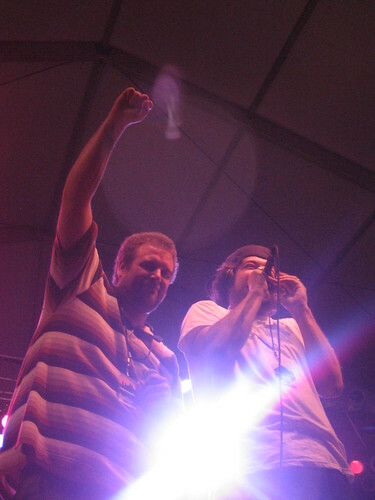 Aesop brought Rob Sonic on stage as a backup MC, and the duo worked out pretty well. Aesop was stellar as always, and Sonicâ€™s vocals added a nice twist to the out-of-this-world lyrics that one can expect from Aesop Rock. Although I haven’t been a huge fan of some of El-P’s previous works, his live show really gave me a new appreciation for this underrated rapper. His lyrics were consistently on the mark, and on time. 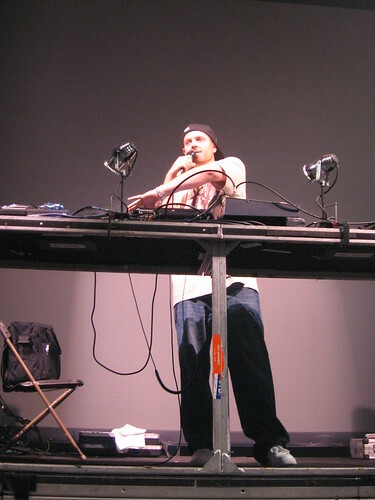 And not only that, but his beats were all performed by the very talented Mr. Dibbs. And last but certainly not least, DJ Shadow closed down the night with a pretty excellent set. When Shadow performed solo on stage, he was so flawless you’d almost not think it was live. EJ and I agreed however, that when he brought Lateef the Truthspeaker on stage, the show just got annoying. Lateef tends to ask for a bit too much crowd input, when really, the show should be about the performers. “I can’t hear you! I can’t hear you!” You know why? Cuz we already left and are back at camp asleep. « Older: Bonnaroo Fashion “Do’s” Pt. 2 — Ice, Ice Baby!